Mauna Loa is often used as an example of rising carbon dioxide levels because its the longest, continuous series of directly measured atmospheric CO₂. The reason why it's acceptable to use Mauna Loa as a proxy for global CO₂ levels is because CO₂ mixes well throughout the atmosphere. This claim that Carbon Dioxide (CO2) mixes well in the atmosphere is repeated in other places: Example. I am wondering if this is true and what data can prove it. I am skeptical because this fails for Ozone, for example - there are holes over Antarctica and sometimes the Arctic. 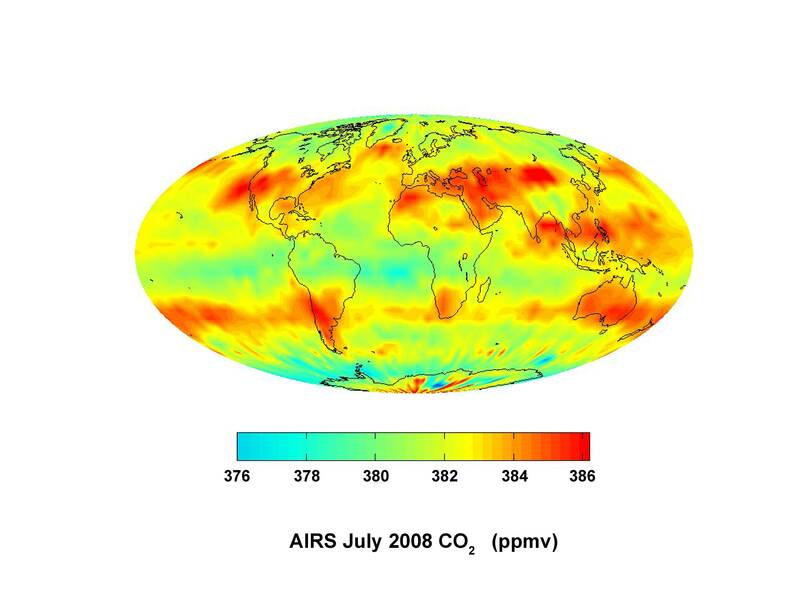 The NASA AIRS (Atmospheric Infrared Sounder) instrument provides satellite based measurements of global CO₂, and it shows that atmospheric CO₂ only varies by a few tens of ppm globally, which indicates that it is indeed "well mixed". See the description on the NASA webpage for brief explanation of some of the variability. As @user19504 suggests (+1) there is also a global network of CO₂ measurement sites (for which data are publicly available) so if CO₂ wasn't well mixed, it would be no secret. Note the seasonal growth and die-back of vegetation results in an annual signal in CO₂ measurements that is highest in the tropic and greatly attenuated in the polar regions (where there is little annual/deciduous vegetation). Also most of the anthropogenic CO₂ is released in the northern hemisphere, and there is a delay in this propagating to the southern hemisphere of about a year, which explains the slight north/south gradient. It would be immediately obvious if CO₂ measurements were not consistent from so many different sources.